There’s nothing quite like the heat in Barbados. Living in the tropical climate that has hot and humid weather all year round can make it a challenge for Barbados homeowners to keep their homes cool while keeping their energy bills from rising. 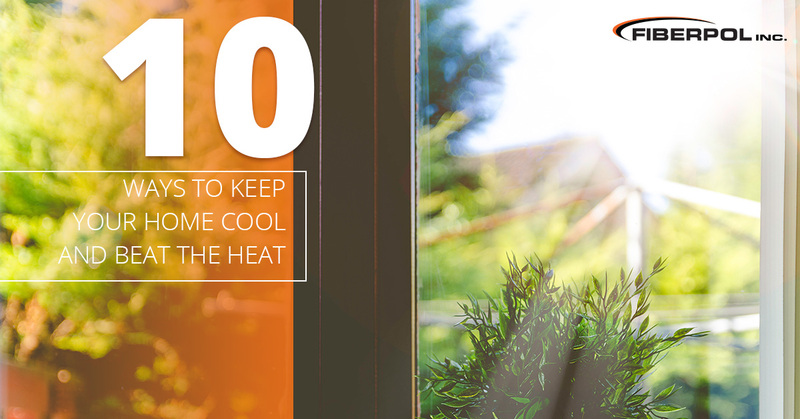 While most people will turn to their standard air conditioning units to keep their home cool and comfortable, there are plenty of ways you can heatproof your home and stay cool in the sweltering Barbados heat! To help, we are going to share some of the best and most efficient tips and ways to make your home a comfortable living space! When heat proofing your home in Barbados, it is important to be strategic. Sunlight can quickly increase the temperature within a home by shining through windows, on roofing, and on the home itself. If you don’t have an air conditioning system operating when the sun is beating down on your home, it is very likely that the temperatures within the home will rise. Since the Sun rises in the east and sets in the west, it is important to keep the north and south-facing windows in your home shaded or covered when it’s extremely warm. Not allowing direct sunlight into your home will make a difference that you are bound to notice. Shades and curtains are efficient at blocking heat from indoors, however, you can use trees and plants to shade the east and west sides of your home to aid in blocking sunlight. Usually, summer is a time for light colors. This is because instead of absorbing light, the light colors reflect it. And with the summer conditions that last all year long in Barbados, take advantage of working lighter colors into your home to assist in deflecting heat. Consider light colors for things like curtains, outdoor furniture, and other pieces of your home’s exterior. A breeze from the sea or ocean can be a gift during those hot, sweltering days. Homeowners can attempt to create a cross breeze in their home by opening windows that are on opposite sides of the house. This will allow air to be pulled through the space, creating a cool, comfortable, and refreshing area. While cross breezes are naturally directed through a home on its own, they can be enhanced with the use of fans. Placing fans near the opposing windows, one side blowing air into the house and the other blowing air out, will create a steady cross breeze. With a nice flowing breeze between two windows in your home the temperature inside can lower by seven degrees! If your home is still using incandescent bulbs for lighting there is a good chance it gets pretty warm inside. The heat in Barbados is a great reason to switch to LED or Compact Fluorescent Lighting (CFL), both of which are long-lasting energy-efficient light bulbs. Because 90 percent of the energy used in an incandescent bulb creates heat, using them will only cause temperatures within your home. Both LED and CFL bulbs give off the same amount of light with only a fraction of heat production. Plus, since they are energy-efficient they will last longer. If there is a room in the home that isn’t being used, keep the door and the duct vents in that room closed. Doing something so simple will reduce the area in your home that needs to stay cool, which can end up saving energy and money, whether you are or are not using an air conditioner. Anything you do that uses heat will without a doubt increase the temperature within your home, and during these hot days, that may be the last thing you want. Cooking is one of the biggest causes of temperature spikes within homes. The best way to keep this from happening is to avoid using the oven, stove, and other appliances that use heat. If you have to use the oven, limit the number of times you open the door to keep heat inside. If cooking needs to be done, save oven cooking for the evening or opt for grilling outside. If you’re worried about making beverages that use heat, like coffee and tea, there is an alternative, energy-efficient way to make these beverages without having to heat up your home — simply use the heat from the Barbados sun! Leave a sealed glass jar of your brew of choice sitting in the sun for several hours and soon you will have a delicious sun-made beverage. Although it seems minimal, unplugging the electronics in your home can help a lot with reducing the temperature. Even if you aren’t using them, the electronics will still use up electricity even if they are not turned on. To avoid passive heat generation, try unplugging major electronics like your television, phone chargers, and computers when they are not in use. Even in Barbados where the weather is consistently in the 80’s, the air does cool down throughout the night and in the early hours of the morning. Homeowners can take advantage of this time and open up all of their windows in all the rooms of their home. The cool air entering will quickly cool down the house. However, it is important to close all the windows in the morning to prevent the cold air from leaving and the warm air from entering. Although this is a more expensive choice, proper insulation can go a long way when it comes to heat-proofing your home. If your home doesn’t have installation, it can be purchased at a hardware store or be installed by professionals. Proper insulation in the roofing and walls will keep heat from moving through the walls and making your home hot and uncomfortable. Hot air can easily seep into your home, whether through the garage door, attic hatch, or the windows. If you are trying to keep the hot air out of your home you should try to find all the energy points that air could seep through and seal them off. This can be done by caulking or hiring a professional sealing service. Of course, the easiest way to keep your home cool in the Barbados heat is by opting for air conditioning. While some homeowners may not want to use their standard A/C system because it uses too much energy, there are other air conditioning options available that are energy-efficient, like inverter air conditioners.The biggest difference between inverter and standard air conditioning units is that inverter systems have variation. Variation allows inverter systems to send out the perfect amount of power to reach and maintain the desired temperature set by the homeowner. There are a lot of benefits that come with inverter air conditioner technology.The inverter technology allows the system to speed up and slow down as needed to maintain the temperature. Once the system reaches its speed, it can make minor changes to its air output to compensate for the changes in the temperature throughout the day, whether the unit is in heating or cooling mode. As you can see, there are plenty of ways to keep your home cool and comfortable in the Barbados heat. Of course, air conditioning is probably the best way to maintain a home’s temperature, however, if you are looking to save money on your energy bills, your standard A/C unit may not be the solution. Instead, try using an energy-efficient inverter air conditioners. 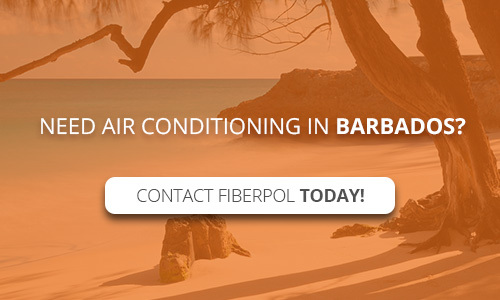 If you are looking for inverter air conditioning for your home in Barbados, be sure to call FiberPol! We carry Streamline Air Conditioning units, including inverter air conditioner units! The Streamline A/C units are quiet, sleek, are energy-efficient, and will keep your home cool and comfortable!